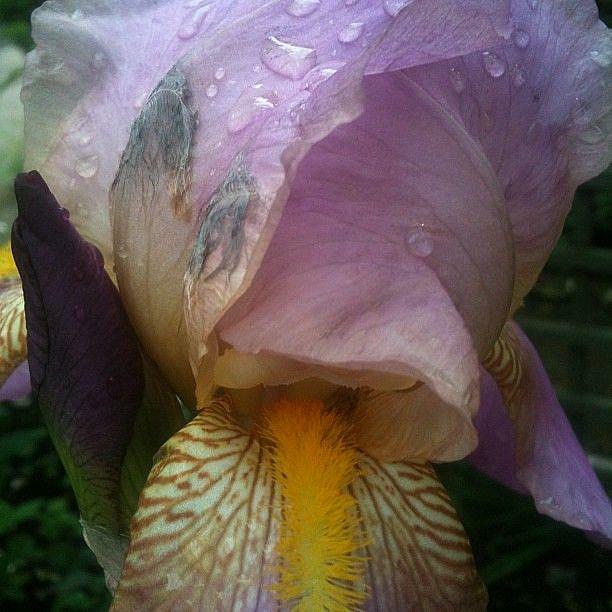 My bearded irises are one of the great joys of my May garden. I only wish they lasted longer. Don't they look pretty after the rain? Taken with my iPhone and cropped, but otherwise not processed, via Instagram.